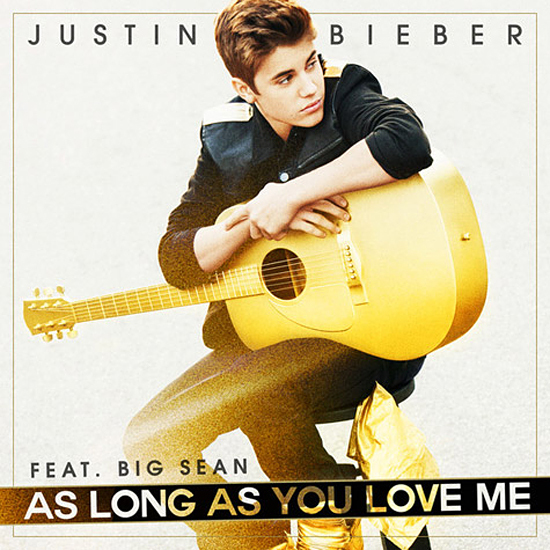 Justin Bieber meets the rapper Big Sean for his latest song "As Long As You Love Me" from his upcoming album Believe. "As long as you love me we could be starving / homeless could be / could be broken / The more you love me / I'll be your platinum / I'll be your silver / gold I'll be your" heard in the lyrics of the recently released song by the artist 18 years of age. "Dear @ ItunesMusic - Where is # AsLongAsYouLoveMe? WE ARE READY! Come on," Justin tweeted after the track surfed the net. Last week, Justin launched another of his songs, "All Around the World" with Ludacris. Justin Bieber also appears on the cover of Billboard magazine's June 16, 2012. The publication, Bieber Michael Jackson shares his inspiration, which owes its fame to the social networks, youtube, facebook and twitter.